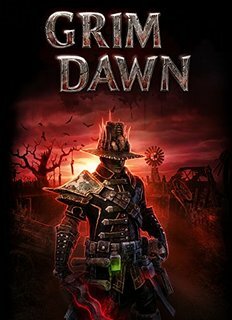 Grim Dawn - Like Diablo? 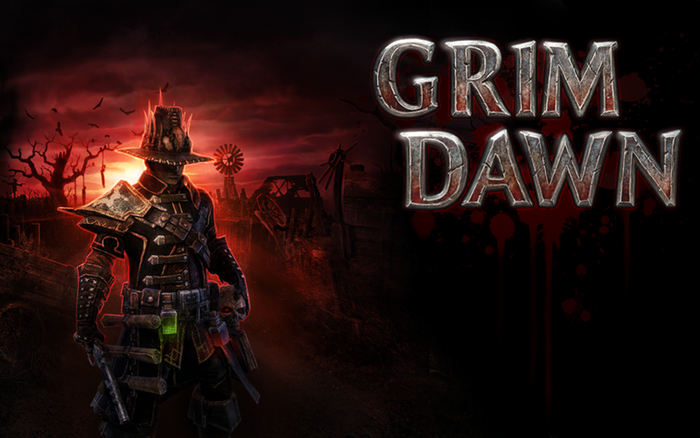 Grim Dawn will take you back in time with this slasher! Dual Class System allows you to combine any of six distinct skill classes to create your own customized playstyle. Advance your class mastery to unlock over 26 powerful skills and synergistic modifiers per class. Additional classes will be released with expansions. Devotion is a brand-new customization system that provides players with another deep layer of character development in Grim Dawn. Devotion points are earned by discovering and restoring ruined shrines scattered around the world. Each restored shrine bestows a point to spend in an extensive night sky of Constellations accessible through the Devotion Window, where players can augment their attributes and even unlock powerful Celestial Powers to empower their skills. The vast number of options ensures that players can create characters which are truly their own. Choice and Consequence gives you power to shape the world and affect the fate of many. Tough decisions will leave significant impact as strangers on the road, families in need and even entire villages may live or perish based on your actions. With great power comes great responsibility and it is not always easy to predict the outcome of your choices in a world driven to desperate extremes. Faction-Based Questing lets you improve your relations with different NPC groups to earn rewards (such as merchant discounts, new items, and additional quest lines) as your favor with them increases. However, aiding one faction could turn a rival faction into your enemy. Choose which side you will support! A Hand-Crafted World immerses you in humanity’s plight as you venture out into detailed environments filled with reminders of a once mighty empire on the brink of annihilation. 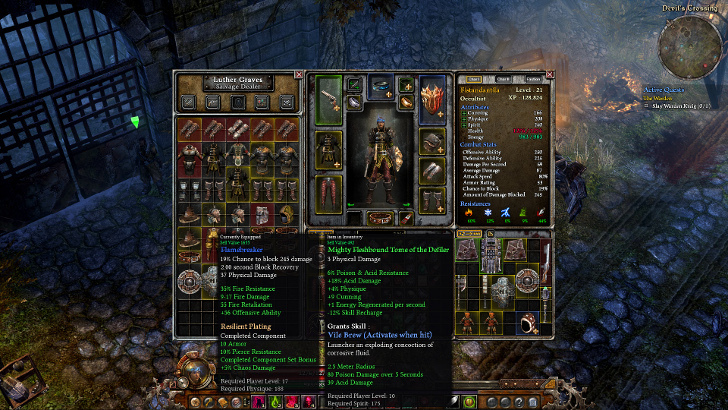 Grim Dawn’s world strikes a fine balance between hand-crafted design and randomization. Challenge and Rogue-like Dungeons test a player’s true mettle with increasing difficulty, higher level enemies and devious traps. Grim Dawn’s rogue-like dungeons are the pinnacle of challenge with brutal difficulty, entrances that lock behind you and no way to teleport out. You must either survive to the end or perish within. Refined Loot Drops result in less junk items and ensure more consistent rewards from hero and boss monsters. Brutal Combat featuring blood spatters, dismemberment and physics-based ragdoll. Crush enemies into a pulp, blow them to bits or send them flying over a ledge to their doom. 300+ Hero Monsters individually designed, named and configured with their own special skills provide unique, challenging experiences. You never know where or when enemy heroes may appear and even after hundreds of hours of play, you'll continue to find new names you've never seen before. Occasionally two or more heroes can spawn together to create an ultimate challenge! Destructible Environments give evidence of your massive battles as you kick through house doors, destroy furniture and smash crumbling walls to reveal secret passages. Dynamic Weather brings the world to life with region-specific climates and a variety of weather effects. A sunny day can cloud over with mild rain showers that build into a booming thunderstorm. Variable wind gusts blow grass and affect objects like windmills and lanterns. Multiplayer allows you to connect with old friends or make new enemies in co-op and pvp modes. Recipe-Based Crafting produces powerful equipment and consumables. Collect recipes from enemies, chests or quest rewards and add them to your crafting compendium. Rare recipes can call for exotic items found in the remote corners of the world. Higher tier recipes can use lower tier crafted items as ingredients, resulting in a pyramidal build up to the most uber crafted accessories. Controllable Camera Rotation enhances the three-dimensionality of the world and gameplay while levels are still designed so that players are not forced to rotate the camera. Modding Tools will allow players to create their own content and to share them with the rest of the world. 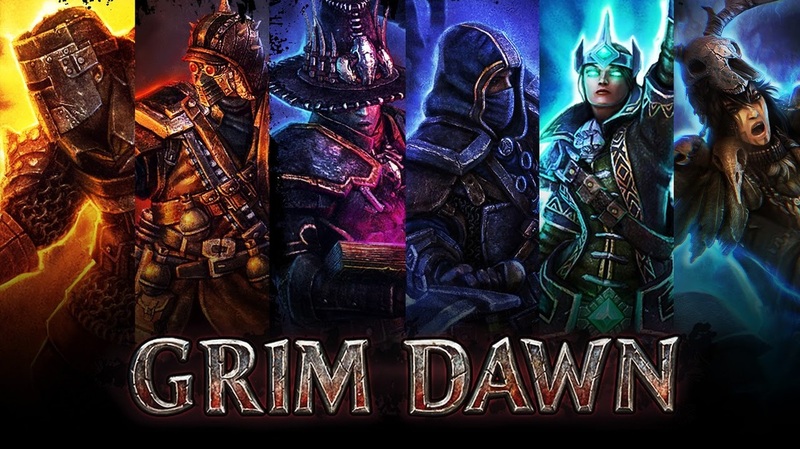 The amount of content available in Grim Dawn will be as limitless as the imaginations of the players. More features are in the works and will be announced as Grim Dawn nears release.